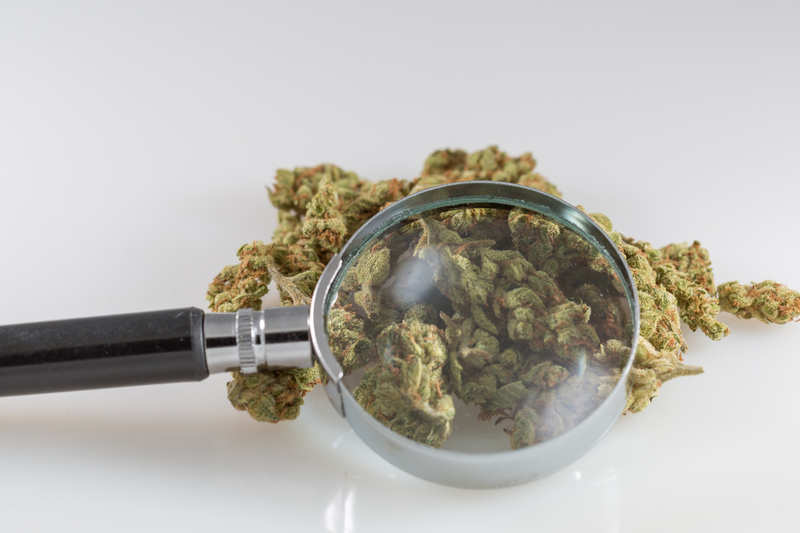 Federal action on marijuana policy is inevitable and will happen “soon,” according to Food and Drug Administration (FDA) Commissioner Scott Gottlieb. “Obviously it’s happening at the state level, and I think there’s an inevitably that it’s going to happen at the federal level at some point soon,” he said. Gottlieb’s comments could be interpreted as a suggestion that legalization is happening at the state level and the end of federal cannabis prohibition is the inevitability. Or the “policy reckoning” could be some kind of increased enforcement of federal marijuana laws. If it’s the former, it’s possible that the commissioner could be alluding to a bipartisan bill that would amend the Controlled Substances Act to exempt state-legal marijuana activity from its provisions—a piece of legislation that Gottlieb’s boss, President Donald Trump, said he “really” supports. During the CNBC interview, “Squawk Box” co-anchor Joe Kernen claimed that “every spirits and wine company sees a huge opportunity in cannabis” and asked if the country will be “OK” if marijuana becomes as common as alcohol. Gottlieb said that recreational marijuana doesn’t “fall within our purview right now” and then talked about the agency’s role in policing medical claims that some companies have made about cannabis. 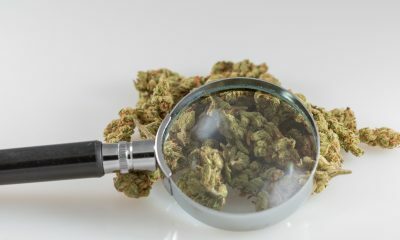 Of course, there have been numerous studies demonstrating that botanical cannabis has medical value, but this isn’t the first time that Gottlieb has drawn that distinction. Two months ago, appearing on the same news program, the commissioner said he worried about the impact of natural marijuana on the lungs and developing brains. At the same time, however, he signaled support for federal marijuana decriminalization. 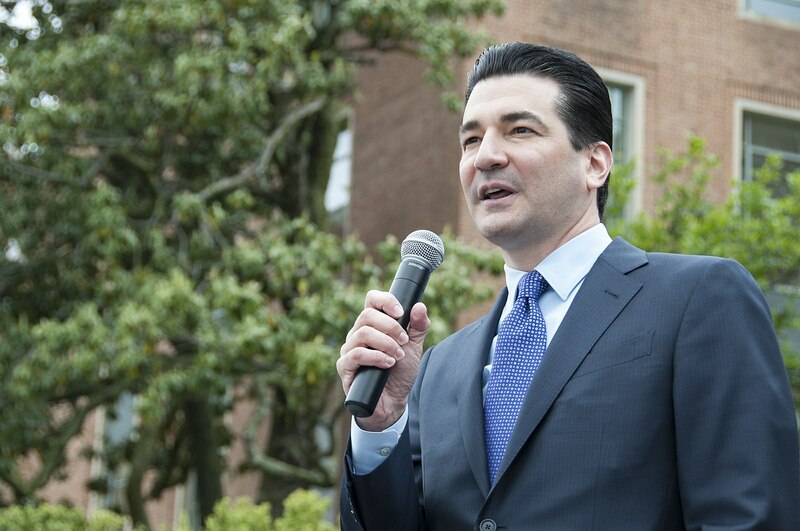 Gottlieb seems especially bullish about researching and approving synthetically produced cannabinoids or medicines derived from cannabis like Epidiolex, a CBD epilepsy medication the FDA approved earlier this year. That said, in the process of approving Epidiolex, the FDA also concluded that CBD doesn’t really deserve to be federally scheduled at all. 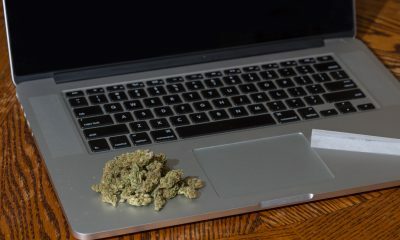 The ingredient has “negligible potential for abuse” and “currently accepted medical use in treatment,” the agency said. A bipartisan group of lawmakers on Capitol Hill is asking House leadership to protect universities that conduct research on marijuana from being penalized under federal law. Neguse and lead co-author Rep. Kelly Armstrong (R-ND), along with the other lawmakers, requested that the subcommittee include specific language in the fiscal year 2020 Labor-Health and Human Services appropriations bill that would prohibit the U.S. Department of Education from withholding federally appropriated dollars from universities that are researching cannabis. Other lawmakers signing the letter to the House Subcommittee on Labor, Health and Human Services, Education and Related Agencies include Reps. Earl Blumenauer (D-OR), Tulsi Gabbard (D-HI), Matt Gaetz (R-FL), Hakeem Jeffries (D-NY), Ro Khanna (D-CA), Barbara Lee (D-CA),Ted Lieu (D-CA), Ed Perlmutter (D-CO), Dina Titus (D-NV) and Don Young (R-AK). As it stands, universities must comply with a drug-free schools law stipulating that they cannot manufacture, distribute, dispense, possess or use a federally controlled substance. The letter notes that the Department of Education has been silent on the issue, and that’s why the lawmakers are seeking action through the appropriations legislation. 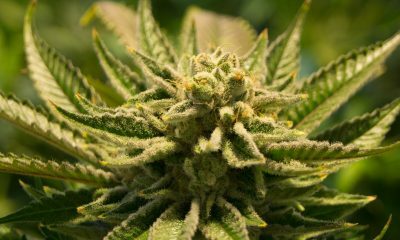 “The roots of marijuana’s national criminalization run deep throughout the federal code and protecting American universities ability to research and understand the dynamic properties of cannabis is a commonsense next step for the Appropriations Committee to take,” Justin Strekal, political director for NORML, told Marijuana Moment. Last year, Neguse won the seat of former Rep. Jared Polis (D-CO), a longtime marijuana reform champion on Capitol Hill, when he retired to run for Colorado governor. “This is a great move for Rep. Neguse given his background in higher education and we look forward to what other new ideas he will bring to Congress,” Strekal said. Former Vice President Joe Biden is making another run for the White House, he announced on Thursday. The former senator, who served as chair of the influential Judiciary Committee that helped shape U.S. drug policy during an era of heightened scaremongering and criminalization, was among the most prominent Democratic drug warriors in Congress for decades. And while many 2020 Democratic candidates have evolved significantly on drug policy—and particularly marijuana reform—over the years, Biden has barely budged. While he’s recognized the long-term harms of certain pieces of legislation he supported and has made some efforts to attempt to repair that damage, overall he’s maintained a firm opposition to cannabis legalization—a stance that sets him far apart from every other major Democratic contender. Biden served as vice president under President Barack Obama, and he’s expressed pride that he was entrusted to oversee matters of criminal justice from the White House. To the administration’s credit, the Obama Justice Department was responsible for enacting a few major drug policy changes—especially, the Cole memo, which cleared the way for state-legal marijuana businesses to operate largely without federal interference. But it was also during Obama’s time in office that the department declined to put different cannabis laws on the books, rejecting petitions to reschedule the plant under the Controlled Substances Act (CSA). 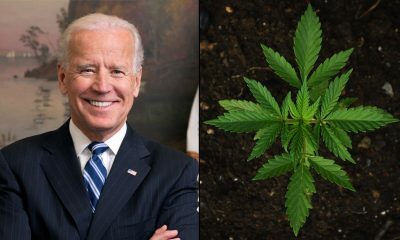 A look at Biden’s record on marijuana policy over past decades reveals a politician whose views on drugs are mostly set in stone and increasingly out of touch with lawmakers in his party and voters across the political spectrum. He’s sponsored some of the country’s most punitive drug legislation, including the notorious 1994 crime bill. In some cases, he has addressed the consequences of his anti-drug legislative activism. But a closer examination exposes patterns: he has long maintained that drugs should be illegal across the board, that the criminal justice system is well-equipped to handle drug offenders and that regulating marijuana is a mistake. Here’s where Joe Biden stands on cannabis and drug policy. The 1980s was a time of extraordinary upheaval for U.S. drug policy, with lawmakers pushing numerous bills meant to scare people away from using controlled substances by way of propaganda and threats of incarceration. Biden was among the loudest and most extreme voices backing anti-drug measures. While there has been a shift in tone over the years, his track record will likely be a point of contention on the campaign trail. Biden introduced the Comprehensive Narcotics Control Act of 1986. The wide-ranging anti-drug legislation called for the establishment of a cabinet position to develop the federal government’s drug enforcement policies—a role that fits the description of the “drug czar” position, a term the senator coined in 1982 and which was subsequently created to lead the White House Office of National Drug Control Policy (ONDCP). Further, the legislation would have required the secretary of the Interior to create a program to eradicate marijuana on Indian territory. It also included a provision for Congress to urge the United Nations Commission on Narcotic Drugs to create a new international convention “against illicit traffic in narcotic drugs and psychotropic substances,” and called for “more effective implementation of existing conventions relating to narcotics.” It also proposed setting aside money for the development of “herbicides for use in aerial eradication of coca,” which would later become a key part of the controversial Plan Colombia program. In 1989, Biden filed a bill that would have required the U.S. to propose a program to the United Nations where member states could have their debts partially forgiven in exchange for committing to use resources to reduce international drug trafficking. One example of something a country could do to reap those rewards would be to “increase seizures” of drugs including marijuana. Biden also introduced the National Drug Control Strategy Act in 1990. It included a number of jarring provisions meant to deter drug use, including the establishment of “military-style boot camp prisons” that could be used as alternative sentencing options for people convicted of drug-related offenses who tested positive for a controlled substance at the time of an arrest or following an arrest. The legislation also called for a requirement that people pass a drug test as a condition of probation or parole before a sentence is imposed, and also subsequently submit to at least two drug tests. It would also require federal employees working in a division that deals with children to pass a background check, specifying that any drug conviction on a person’s record is barred from employment. If that wasn’t enough, the bill would also have authorized appropriations under the Arms Export Control Act and the Foreign Assistance Act to be used to train and assist military and law enforcement in their anti-drug production and trafficking operations. A separate provision would have encouraged the Central Intelligence Agency to enhance human intelligence that could be used to combat international drug trafficking. Biden introduced a bill on capital punishment in 1990 that was later amended to include a provision known as the Drug Kingpin Death Penalty Act, which called for the imposition of capital punishment for anyone who killed someone while carrying out a federal drug offenses and was the head of a criminal enterprise who qualified for mandatory life imprisonment. The Senate passed that amended legislation, and Biden was among those who voted in favor of it. An amended version of the bill, which Biden voted in favor of, also made federal marijuana laws more punitive by reducing “from 100 to 50 the number of marihuana plants needed to qualify for specified penalties” and stipulated that people convicted of three felony drug charges should handed a sentence of life imprisonment without release. Additionally, the bill would have increased penalties for the use of a controlled substance in public housing, expanded the definition of “drug paraphernalia” under the CSA to include things like scales and syringes and prohibited the advertisement of Schedule I drugs such as cannabis. The following year he filed separate legislation of the same name. While that version was indefinitely postponed in the Senate, the House companion bill—the Violent Crime Control and Law Enforcement Act of 1994, also known colloquially as the crime bill—passed both chambers and was signed into law by President Bill Clinton in September 1994. Biden voted in favor of the legislation, which has since become known as one of the largest drivers of mass incarceration in the U.S. Among other things, the wide-ranging anti-crime bill established the aforementioned federal drug testing program for prisoners on release, amended the federal code to make certain drug-related murders punishable by death, enhanced penalties for drug dealing in “drug free” zones, allowed the president to declare “drug emergency” areas and to “take action to alleviate the emergency” and required courts to submit information to the Federal Bureau of Investigation about juveniles who are convicted of certain drug crimes. Biden sponsored a bill in 1997 to establish the High Intensity Drug Trafficking Areas Program within the ONDCP. “The Senate… gives heartfelt thanks to all the men and women of the DEA for their past and continued efforts to defend the people of the United States from the scourge of illegal drugs and terrorism,” the resolution states. In 2003, Biden sponsored a bill to amend the CSA to “prohibit knowingly leasing, renting, or using, or intentionally profiting from, any place…whether permanently or temporarily, for the purpose of manufacturing, storing, distributing, or using a controlled substance.” The Illicit Drug Anti-Proliferation Act, which later became the Reducing Americans’ Vulnerability to Ecstasy (RAVE) Act, has been blamed for making festivals and music events where drugs like MDMA are taken less safe by discouraging operators from providing on-site harm reduction services out of fear they’d be prosecuted for knowingly allowing drug use. He cosponsored a later version as well. Biden also cosponsored a number of controversial anti-drug bills filed by other lawmakers during his time in the Senate. He signed on as the lead Democratic cosponsor of Thurmond’s Criminal Code Reform Act in 1981. The bill would have increased penalties for trafficking in drugs including “large amounts” of marijuana. The next year, Biden also appeared as the lead Democratic cosponsor of Thurmond’s Violent Crime and Drug Enforcement Improvements Act, which would have expanded federal asset forfeiture authorities, made it so juveniles can be transferred to adult court for certain violent or drug-related crimes and established a new office to “plan and coordinate drug enforcement efforts” for the federal government. Another Thurmond bill that Biden signed on to in 1983 proposed expanding federal asset forfeiture authorities. Biden was an original cosponsor of another infamous drug-related bill, the Anti Drug Abuse Act of 1986. The House version, which he voted in favor of, was ultimately signed into law by President Ronald Reagan. It’s best known for creating sentencing disparities for crack versus powder cocaine; it imposed a 1:100 crack to power cocaine ratio, whereby one gram of crack was equivalent to 100 grams of powder cocaine under the law. The provision led to significant racial disparities in the criminal justice system. About 20 years later, Biden sponsored a bill attempting to make up for the crack-powder cocaine disparity by increasing the amount of cocaine that qualified an individual for a mandatory minimum sentence and also eliminating the five-year mandatory minimum for first-time possession of crack cocaine. The sentencing disparity was eventually lessened when Congress passed a bill in 2010 lowering the weight ratio from 100:1 to 18:1 for crack versus powder cocaine. The legislation was signed while Biden served as vice president. Biden voted in favor of a massive omnibus bill in 1999 that included language directing the drug czar to “take such actions as necessary to oppose any attempt to legalize the use of a substance” in Schedule I. Curiously, Biden once made an earmark request for almost half a million dollars to go toward the Drug Abuse Resistance Education (DARE), the youth anti-drug campaign that rose to popularity in the 1990s. Harper’s pointed out that the main lobbyist for DARE previously worked under Biden while he was Judiciary Committee chairman and also contributed $2,300 to the senator the prior to the request. There are no mentions of marijuana on Biden’s social media feeds. But that doesn’t mean he hasn’t been talking about the issue. Unlike other candidates for the Democratic nomination, however, the quotes one finds when searching through his past are not supportive of reform. For the most part, they’re the exact opposite. “I don’t think marijuana should be legalized,” he said. In 1989, President George H. W. Bush addressed the nation in a televised appearance to outline the administration’s drug control strategy. But even his proposals did not satisfy Biden’s thirst for a tougher and more punitive approach. He delivered the Democratic response to that address. Throughout his own time in the White House as vice president, Biden consistently took an opposing stance on marijuana reform proposals. He said in 2012 that he had “serious doubts that decriminalization would have a major impact on the earnings of violent criminal organizations, given that these organizations have diversified into criminal activities beyond drug trafficking,” for example. During a trip to Mexico, Biden discouraged Latin American countries from legalizing marijuana, arguing that while he understood their interest in pursuing alternative approaches to curb prohibition-related violence, the pros of legalization were outweighed by the cons. He was asked in 2014 whether he supports legalization and flatly said “no,” but added that “the idea of focusing significant resources on interdicting or convicting people for smoking marijuana is a waste of our resources” and that he “support[s] the President’s policy” of non-intervention in state laws via the Cole memo. “Our policy for our administration is still not legalization, and that is and continues to be our policy,” Biden said. Biden has spent a lot of time talking about the importance of the drug czar position, an idea he championed into creation. And William Bennett, the first person to serve in that role and one of the “architects” of the drug war, shared an anecdote in 2018 about how Biden viewed his performance. According to Bennett, Biden said “you’re not being tough enough” to the man who once said he wasn’t bothered by the idea of publicly beheading drug dealers. As a senator in 1999, Biden strongly supported an interventionist initiative aimed at disrupting drug cartels and a political insurgent group in Colombia. Part of that plan involved spraying aerial herbicide on coca plants, which led to health problems for those on the ground as well as environmental damage. While he faced criticism at the time, he maintained his belief that the intervention was a success in a 2015 editorial in The New York Times. But by January 2019, as Biden was gearing up for a presidential run, he seemed less bullish about defending his role in shaping the criminal justice world that emerged out of the 1990s. About a decade after Biden helped write into law some of the country’s most consequential anti-drug laws, he did eventually speak out against sentencing disparities for crack versus powder cocaine, and he also recognized his role in shaping the criminal justice system to doled out those sentences. Biden has also characterized the “three strikes system,” whereby people would be sentenced to life after being convicted of three violent felonies, as “simplistic” and argued against it. But in the modern political climate, where voters are increasingly supportive of policies to reform the harsh drug laws that Biden pushed, that kind of word association isn’t likely to win him much favor, especially among Democrats. Most recently, in April 2019, Biden appeared on a panel dedicated to the opioid epidemic. 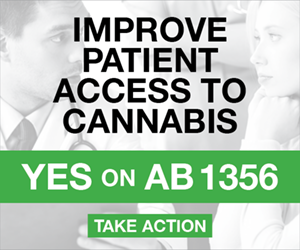 During that panel, a professor claimed that pain patients who consume cannabis experience the same levels of pain and don’t reduce their intake of opioid painkillers, and she criticized state moves to allow medical marijuana. Biden applauded the talk and also seemed to whisper “she’s right” to the guest beside him. At the same time that Biden has been one of the most vociferous defenders of harsh, anti-drug policies, he has also seen people close to him impacted by drug criminalization. His daughter Ashley was arrested for marijuana possession and allegedly used cocaine in a video that a “friend” of hers attempted to sell for $2 million. And his son Hunter was kicked out of the military after testing positive for cocaine during a randomized drug test. It does not appear that Biden has publicly commented on any personal experience he has had with marijuana or other drugs. It will be interesting to see how Biden addresses questions about marijuana and drug policy in general when put on stage alongside a crowd of other candidates that uniformly support legalization. Will he double down in his opposition or make vague promises not to crack down on legal cannabis states? Could he be pushed even further—to a point where he comes out in support of modest marijuana reform legislation such as allowing banks to service state-legal cannabis businesses? Or will be endorse legalization outright in an effort to take the issue off the table? For now, a review of Biden’s record signals that he would not likely be a champion for marijuana reform if elected president. 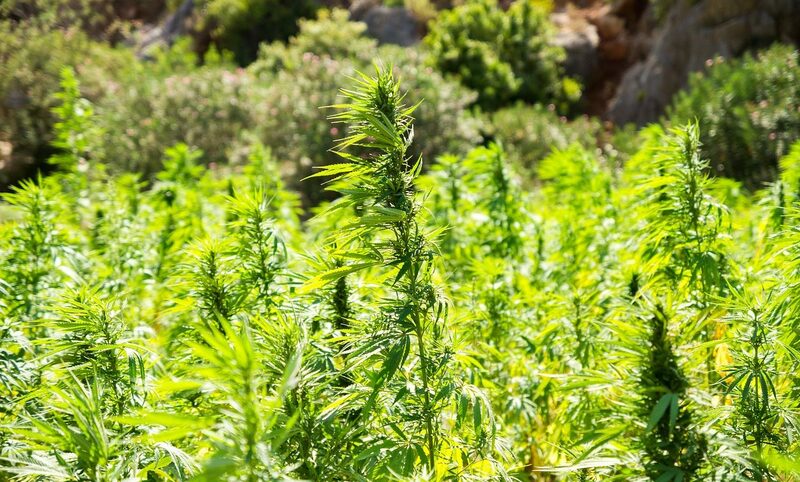 The U.S. Department of Agriculture (USDA) announced on Wednesday that hemp cultivators can officially apply for intellectual property protection for seed-propagated hemp, making the newly legal crop part of an existing program. The move will cover certain hemp types for 20 years, allowing farmers to prohibit others from marketing their variety of the plant. 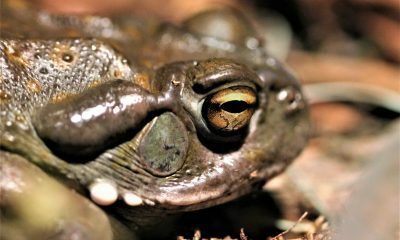 Those interested in obtaining the exclusive protection can use the department’s electronic application filing system to submit or edit an application, pay fees and communicate with relevant USDA staff about the program. The announcement is yet another development to come out of the federal legalization of industrial hemp through the 2018 Farm Bill. Once considered a controlled substance under federal law, the crop is now the regulatory responsibility of USDA and has been celebrated by Republicans like Senate Majority Mitch McConnell (R-KY) and Democrats like Ron Wyden (D-OR) alike. In fact, McConnell is so passionate about his role in lifting restrictions on hemp and its derivatives that he featured it in his reelection launch campaign video and paid a recent visit to a Kentucky hemp company. USDA must still develop a regulatory framework for hemp before farmers can market the crop under the 2018 Farm Bill, but states can submit their plans in the meantime, as they will be the primary regulators. Agriculture Secretary Sonny Perdue has said that the department will not expedite the rulemaking process; however, the rules should be in place in time for the 2020 planting season, he said. It seems that while the department continues to develop a broad regulatory framework, it is still actively chipping away at other former restrictions on hemp, by giving hemp farmers federal intellectual property rights, for instance. USDA also recently clarified that hemp farmers can import seeds from Canada and other countries, noting that the Justice Department no longer controls the crop.